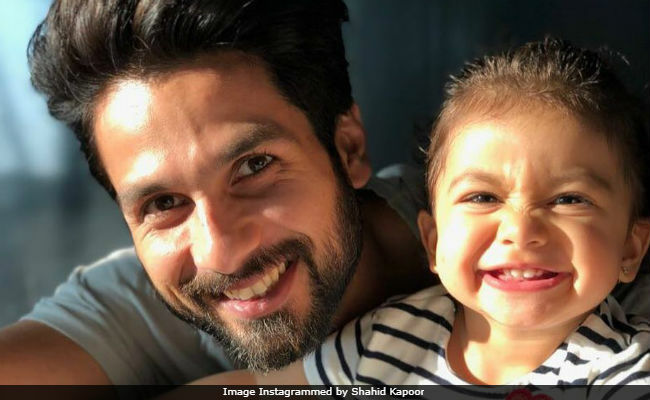 Like all parents, Shahid Kapoor is also preparing himself to face Misha Kapoor's questions in future, particularly about his fashion sense. The "Padmaavat" star, who won the Most Stylish Man trophy at the GQ Style Awards, told NDTV that when a grown-up Misha would question his wardrobe choices, he will show her the trophy and tell her, 'I have this award.' "When I'll grow old and if Misha would question my fashion sense, I will show her this trophy and tell her don't worry beta, I have this award, so many years back I was in fashion," a beaming Shahid told NDTV. GQ Style Awards were held in Mumbai on Saturday night. Shahid Kapoor's Udta Punjab co-star Alia Bhatt took home the Most Stylish Woman trophy. For the awards night, Shahid Kapoor picked an all-black creation by designers Rohit Gandhi and Rahul Khanna while Alia Bhatt was dressed in pink chiffon gown by Nedret Taciroglu. Alia and Shahid have worked in two films, Shaandaar and Udta Punjab. Guess she has decided to take over. Misha was born to Shahid Kapoor and Mira Rajput in August 2016, a year after the couple got married in a private ceremony in Delhi. Shahid is busy filming for his forthcoming film Batti Gul Meter Chalu starring Shraddha Kapoor and Yami Gautam. He was last seen in Sanjay Leela Bhansali's magnum opus "Padmaavat". In the film, Shahid Kapoor played Maharawal Ratan Singh, Rani Padmavati's husband. Deepika Padukone essayed the role of Rani Padmavati.